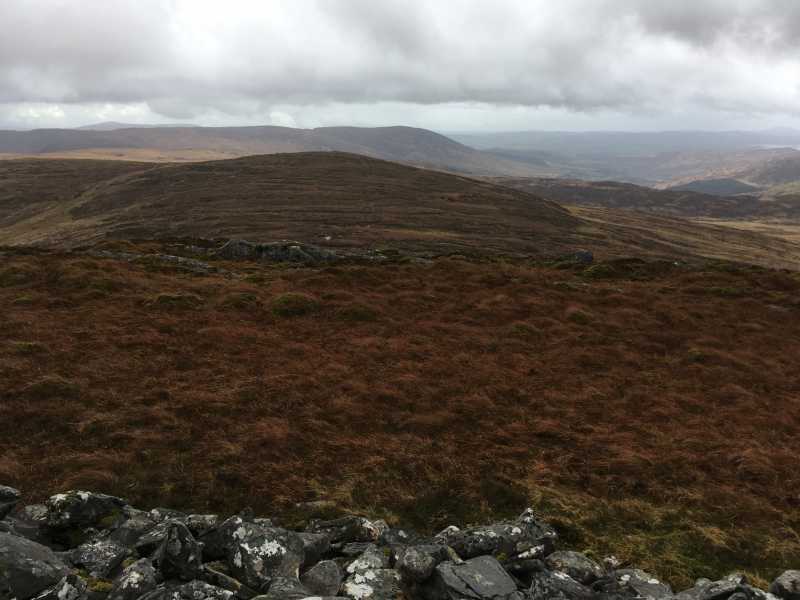 Carran South Top is the 371st highest place in Ireland. The shortest approach to Carran S top is from Bealick. Starting from Gougane Barra forest park W070 653 A C. Follow trail to it's high point then head North to Bealick then follow a fence to Carran S top. Alternativly start from the KIlgarvan side following a track at W035 662 B.